WASHINGTON • Former US first lady Michelle Obama says she can "never forgive" US President Donald Trump for questioning her husband's American citizenship, saying the President and other "birthers" put her family at risk, in her hotly anticipated new memoir. Mrs Obama, 54, also says she was surprised that so many American women voted for the "misogynist" Mr Trump over Mrs Hillary Clinton, "an exceptionally qualified female candidate", in the 2016 election. The book, Becoming, hits stores on Tuesday. 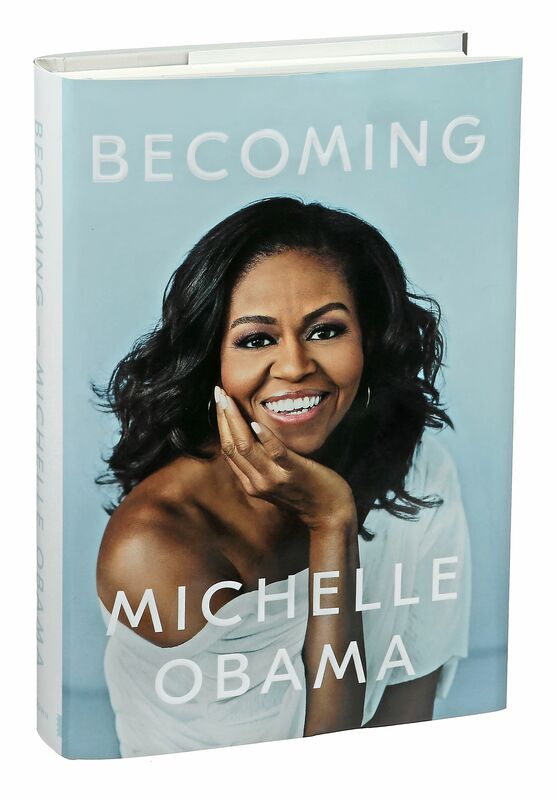 It is one of the most awaited books about US politics in years, and Mrs Obama does not mince words about her husband's successor - and his involvement in promoting the idea that Mr Barack Obama was born abroad. "The whole (birther) thing was crazy and mean-spirited, of course, its underlying bigotry and xenophobia hardly concealed," she writes, in excerpts of the book published by ABC News and The Washington Post. "But it was also dangerous, deliberately meant to stir up the wingnuts and kooks," she adds. "What if someone with an unstable mind loaded a gun and drove to Washington? What if that person went looking for our girls? • Calls US President Donald Trump "crazy and mean-spirited" for questioning her husband's American citizenship; calls him a misogynist. • Talks about her miscarriages and IVF treatments as well as marriage counselling. • Revisits her romance with Mr Barack Obama. • Her lack of appetite for politics. Mrs Obama also said her body "buzzed with fury" after hearing the Access Hollywood tape on which Mr Trump bragged about being able to grab women with impunity. Mr Trump did not waste time in responding. "I'll never forgive him for what he did to our United States military by not funding it properly... What he did to our military made this country unsafe." In the book, America's first black first lady goes beyond politics, digging deep into some personal issues from a miscarriage to using in-vitro fertilisation to marriage counselling. "I felt lost and alone, and I felt like I failed because I didn't know how common miscarriages were because we don't talk about them," Mrs Obama told ABC News in an interview. Fertility treatments allowed her to conceive daughters Malia, now 20, and Sasha, 17. She revisits the thrill of her romance with Mr Obama, which began when she was his adviser at a Chicago law firm, describing it as a "toppling blast of lust, gratitude, fulfilment, wonder". But she admits the couple on occasion turned to counselling, where they "learnt how to talk out" problems. Her book, which is being released one week after the US midterm elections, will spark conversation as the Democrats look for a standard-bearer for the 2020 general election. What if someone with an unstable mind loaded a gun and drove to Washington? What if that person went looking for our girls? Donald Trump, with his loud and reckless innuendos, was putting my family's safety at risk. And for this I'd never forgive him. MRS MICHELLE OBAMA, writing in her new book Becoming. She seeks to put an end to calls for her to run for office: "I've never been a fan of politics, and my experience over the last 10 years has done little to change that. I continue to be put off by the nastiness."